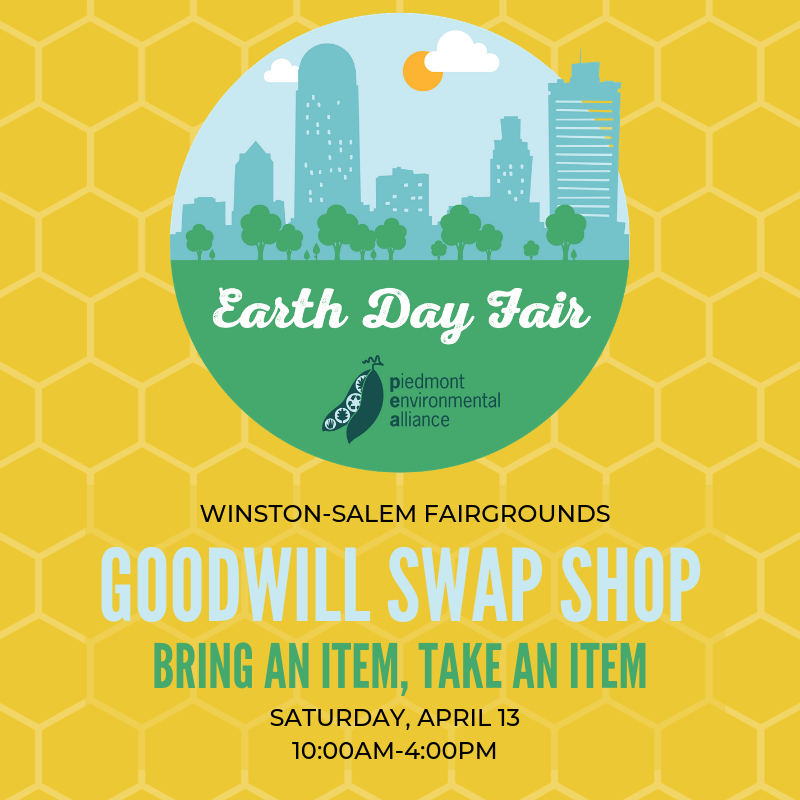 The Goodwill Swap Shop at the Piedmont Earth Day Fair will have used clothing, jewelry and books available. Bring an item (or 5!) and leave with something new to you. Don't just recycle your cans and paper - recycle your stuff at the Goodwill Swap Shop!